Connection is a key component of power. But not all connection, nor all power is equal. 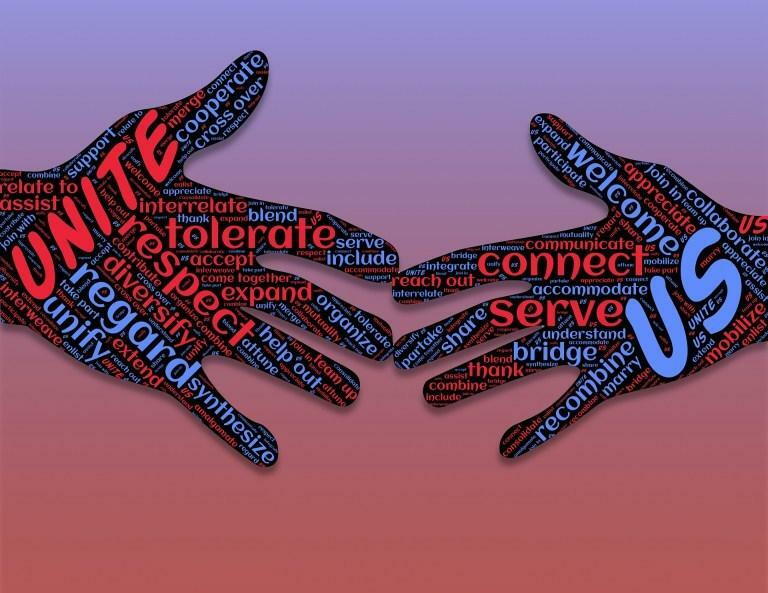 We can build positive connections in our own lives and help others gain access to constructive and life giving aspects of power when we work towards mutuality, respect, and an understanding of balance. A Native American youth movementwhich began almost a year ago in Standing Rock manifests healing power through connection using these basic elements. They provide a good model for leaders of all types including organizations, workplaces, movements and families whether we support their cause or not. What began as isolated, emotionally and spiritually wounded young people from families struggling with poverty, addiction and violence became a unified and unifying community called the One Mind Youth Movement, and eventually the International Indigenous Youth Council (IIYC). Their cause was fighting alcoholism, suicide and abuse. Then they added fighting the Dakota Access Pipeline saying it would destroy their way of life and access to clean water. Mutuality: Each person or each group has a voice to express what matters to them and each person’s views are taken into consideration. With mutuality, people don’t need equal roles, but each person receives an equal amount of benefit from the relationship or interactions. It provides a win-win scenario. For example a teacher has more power than his or her students, but in a healthy relationship both gain equal value from the teacher-student relationship and interactions. On the opposite extreme is verbal or physical coercion in personal relationships or in politics-dictatorship. People on the coercive extreme have power, but the power benefits some at the expense of others. This principle can be applied in couples and families, in workplaces and even with oneself. The Native American Youth who started the IIYC came out of homes and communities in which they experienced powerlessness. Harmful things were done to them without their consent. They did not turn around and inflict the same harm on others, but instead built communities in which they supported each other. Respect: Treating people with love and appreciation for our common humanity even when we disagree is a key to healthy connection. This can be hard to do, especially when we strongly disagree with someone. Look for common dreams and values even if it is only basic human needs. In December some of the youth reached out to the local sheriff’s department by answering a request the department made to the community. The youth brought them donations of food and water. Some of the officers were touched by the youth’s kindness and generosity. People who had seen each other as enemies became united in common humanity and mutual respect at that moment. It matters how things are done by leaders and across roles. Understanding of Balance: Mutuality and respect aren’t enough by themselves. Connections are more likely to be healing and productive when people have an awareness of the imbalances of power that exist. This does not mean magically eliminating the inequalities, but understanding that they exist, naming them and acting with understanding of how the imbalances affect each person’s role and influence. For example a clergy person is given authority and respect that committee members don’t have. How much and how that authority is focused varies by faith traditions. If both a clergy person and a lay leader make the same statement such as, “We are failing in our mission to aid the homeless in our community,” it is perceived differently. The clergy person’s statement is heard with the weight of the religious tradition behind it, and possibly a parental-type of authority over, and criticism of the congregation. A lay leader saying the same thing will be heard as an individual with a passionate opinion. This difference in perception could be beneficial or detrimental depending on the context. Understanding the dynamics gives each person involved an important tool to manage the connection in healthy ways. Various attributes and roles give people more, or less influence, including race, gender, age, role, physical and mental health and many more. In the Native American Sioux tradition youth are not given a voice in the presence of elders. The fact that they are speaking out is seen as pushing traditional boundaries in a way that might cause adults to become critical. At the same time youth are seen the hope for the future. Elders who understood the value of their speech added the weight of prophecy and religious tradition behind the message of the youth. This resulted in Native Americans from many tribes hearing and receiving their message. Expanding reach: Expanding the extent and reach of one’s connections increases power. But it only increases power in positive ways when it includes the other elements: respect, mutuality and awareness of balance. A representative of the Oceti Sakowin Youth said, “The more youth that we have and the bigger group that we have, people will start listening.” And that did prove to be true as their movement has united not only a diversity of Native Americans, but many non-native groups and individuals as well.